Sally Catto is the General Manager, Programming for CBC English Television. She oversees the strategic direction and programming of original and acquired scripted, digital original and unscripted programming for the network such as Schitt’s Creek, Workin’ Moms, Kim’s Convenience, Baroness Von Sketch Show, Anne, Alias Grace and The Great Canadian Baking Show. In her role she has also overseen the re-branding of the documentary strategy and the revitalization of Arts programming. 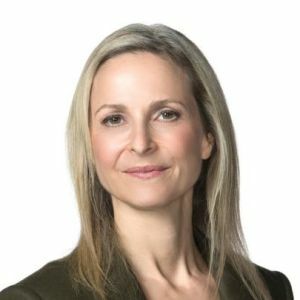 Sally has a long history at the CBC from her earliest days in 2001 as an Executive in Charge of Production, Drama to her subsequent positions including Creative Head, Drama and Executive Director, Commissioned and Scripted Programming. During her tenure she has overseen such programming as Heartland, Murdoch Mysteries, Book of Negroes, Being Erica and Mr. D.
Playback’s 2016 Media Company of the Year. SBS working in scripted and business affairs.